My Rated G Strip Show! 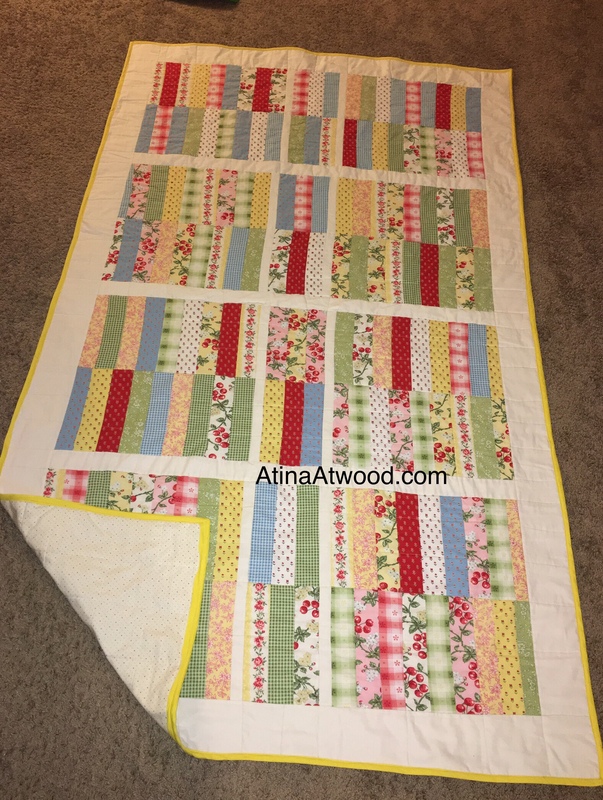 If you’ve been following my blog for a little while, you may have come across the fact that I have absolutely become a fan of #quilting. It’s gaining a resurgence in popularity, and I’m so excited to say that I’ve been bitten by the quilting bug. There’s something hugely whimsical and romantic about creating quilts with bright and colorful prints. I’m definitely attracted to the “scrappy” look right now. I’ll admit that the vast majority of the people in my online groups are actually grandmas, but there are also men, and people who are “young” enough to know how life was living as a teenager in the ’90’s. I’m having a great time experimenting and discovering things, and I just completed a full-sized quilt from start to finish in just TWO DAYS! If you’re familiar with the process of quilting, this is really quite a feat. It’s not perfect- the lines are far from straight, but I absolutely love it! !